→L-Tyrosine and How it Benefits Thyroid & Adrenal Function: Should you Use it? You may have heard that using L-tyrosine can potentially help improve your energy levels, help with weight loss, improve your thyroid or even reduce your stress response. But are any of these claims true? In order to have a discussion about these topics we really need to first talk about the basics of tyrosine. Tyrosine is a protein in your body that acts as a precursor for MANY, and very important, hormones. Your body takes Tyrosine (the amino acid) and alters its chemical structure to turn it into these various hormones. These hormones then circulate through your body and make the changes necessary for you to live a happy life. What type of hormones am I talking about? L-tyrosine is a synthetic version of the amino acid Tyrosine that can be taken orally as a nutritional supplement. The idea behind supplementing with L-tyrosine is to potentially improve the function of Tyrosine in your body to help create more of the active hormones we just discussed (thyroid and adrenal hormones). This is nice in theory, but does it actually work? That answer is somewhat more complex than just a yes or no, but the general answer is maybe. When you are supplementing, with any nutrient, the goal is to help provide your body with nutrients that you may not be getting through diet or due to disordered metabolism. And this is true for Tyrosine as well. #1. Not getting enough of this protein from your diet. Tyrosine is considered a non-essential amino acid (1) because your body produces it from phenylalanine (another amino acid). If you don't consume enough high-quality protein then it's possible that your body won't be able to produce enough naturally through this substrate. If you fall into this category then supplementing with Tyrosine may provide your body with the nutrient that you need and you may experience an improvement in your symptoms. It's not hard to think of ways that you may be deficient in certain nutrients and vitamins when you consider that most people consume highly processed and refined foods as part of their daily diet. #2. Your body does better with higher than normal doses of tyrosine. Some individuals, despite having normal levels of nutrients, do better with higher than normal doses of vitamins and nutrients. This is referred to as supraphysiologic dosing and is a concept that is well known with vitamins such as B12, B6 and folic acid (2). Some conditions, including how quickly your body breaks down and metabolizes vitamins, may impact how much you need to take on a daily basis. This shouldn't come as a surprise when you realize that each of us is different and unique. For some people, this value may be higher than normal which means they need a higher than "standard" dose. Using Tyrosine may be helpful even if you have "normal" levels in your diet. One of the biggest questions people have when it comes to L-tyrosine supplementation is whether or not it will help with their thyroid. Currently, up to 10% of the population may have a thyroid related problem (3). And that's a TON of people (up to 35 million in the U.S.). Wouldn't it be nice if taking Tyrosine could improve your thyroid? Well, it may potentially, but you need to realize that not many studies have shown that it is effective. Having said that, many patients and doctors, have seen improvement in thyroid function as patients take these supplements. We already said that tyrosine forms the backbone of many hormones and this is also true of thyroid hormone. Your body takes Tyrosine and, with the help of iodine, turns it into Thyroxine. If you aren't familiar with Thyroxine then you can read more about it here, but just realize that thyroxine is another name for T4 which is the most abundant thyroid hormone in your body. Your body can then take T4 and convert it into triiodothyronine or T3 (the active thyroid hormone). This entire process starts with both tyrosine and iodine and both of these nutrients are critical for the creation of thyroid hormone. Deficiencies in one, or both, can result in disordered thyroid hormone production and metabolism. Tyrosine is a non-essential amino acid which your body can produce from other amino acids, but iodine MUST be consumed through your diet (4). Because the consumption of sea vegetables such as kelp and seaweed, as well as the preference over non-iodized salt, iodine deficiency is becoming more and more common. This is important because it may not be wise to supplement with tyrosine unless it is also accompanied with iodine (or unless you know that your iodine level is "optimal" first). It has also been shown that people who have thyroid disease, including hyperthyroidism and hypothyroidism, have irregular serum levels of tyrosine (5). Those who have hyperthyroidism tend to have higher levels of tyrosine in their blood, and this level can increase dramatically after supplementation. While those with hypothyroidism (low thyroid hormone), tend to have lower than normal levels of tyrosine in their blood. When you combine this with the fact that using Thyroxine medication (such as Levothyroxine) has been shown to enhance tyrosine metabolism in the liver (6), it may be a good idea to supplement with BOTH thyroid medication AND tyrosine (either from the diet or through supplements). This doesn't mean that using L-tyrosine will necessarily improve your thyroid function, but it's certainly worth considering if you have thyroid problems. While L-tyrosine hasn't been well studied in the thyroid arena, it has been studied in the stress arena. There are several studies which show that using L-tyrosine may actually help reduce the negative consequences of stress on the body. 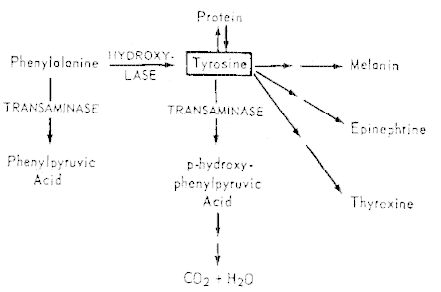 We know that Tyrosine forms the backbone for the adrenal hormones epinephrine and norepinephrine. These hormones are secreted when your body is under perceived stress and mediated, in part, through the hormone cortisol. The more stress that you are under the more your body will produce these hormones. This may lead to a situation in which your body becomes "depleted" of the precursors required to create these hormones (7). When this happens you may start to experience the symptoms of adrenal fatigue such as extreme fatigue, the sensation of feeling wired but tired, weight gain and sleep problems. 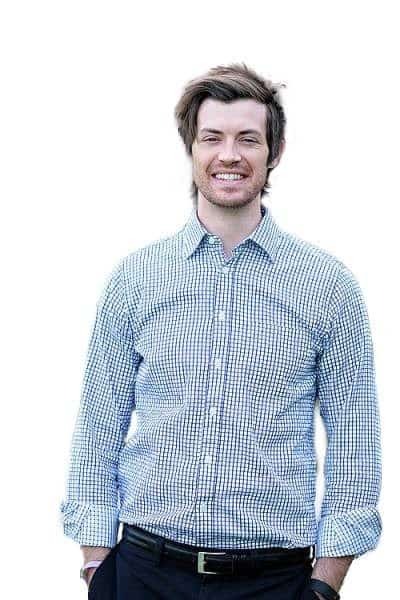 The idea behind using L-tyrosine, in this situation, is that you are providing your body with the necessary building blocks to produce more of these hormones which may "increase" your stress resilience. And the benefits of L-tyrosine supplementation in these situations extend beyond just your adrenal health. Studies have shown that using L-tyrosine may improve your cognition (8) (reduce brain fog) and help reduce the symptoms of depression as well. We also know that both your thyroid gland and adrenal gland interact with one another. As one system starts to fade or become dysregulated, it can bring the other system down as well. This may be another reason why, if you have thyroid problems, supplementing with L-tyrosine may help. With all of these benefits, it may be tempting to run out and purchase L-tyrosine from the grocery store. Don't do that... at least not yet. Because, whenever you consider using a supplement, you need to make sure that the benefits outweigh any potential risks. When it comes to L-tyrosine supplementation the risk of using this supplement is very low. Doses as high as 20 grams per day have been given to people in the military without negative consequences. And most supplements have doses in the milligram range (not the gram range). So with very few risks, it may be worth a trial, especially if you have thyroid disease or adrenal related problems. Those with the symptoms of "adrenal fatigue"
Those with "burn out syndrome"
How Much L-Tyrosine Should you Take? Once you determine if you want to use L-tyrosine the next question you should have has to do with your dose. We know that extremely high doses probably won't cause any negative side effects, but does that mean you have to take that much? You'll want to provide your body with the minimum amount necessary to provide a positive outcome while reducing the chance that you'll experience negative symptoms. This range is usually somewhere between 150 to 500mg per day of L-Tyrosine. But beyond the amount that you take, you should also consider taking L-tyrosine with other supplements. Because if you have a deficiency in this amino acid then you probably have deficiencies in other nutrients and you may also benefit from other targeted supplementation. You will get the biggest bang for your buck (both in terms of cost and benefits) if you take L-tyrosine along with other supplements designed to improve both your thyroid and your adrenals. I've included a brief list of additional supplements that can and should be considered when you are using L-tyrosine. Adrenal Adaptogens - Adaptogens can further help regulate cortisol levels and manage your stress. These pair perfectly with tyrosine and are particularly helpful in both thyroid disease and adrenal disease. Adrenal Glandulars - Glandulars can also be used to treat adrenal fatigue and tend to work well in certain individuals. Activated B Vitamins - B vitamins, as long as they are pre-methylated, can be safely used with MTHFR genetic problems and have been shown to help improve your stress response. Vitamin C - Vitamin C is another important cofactor in the production of adrenal hormones and it is highly concentrated in your adrenal glands (12). Guggul Extract - Guggul may help improve T4 to T3 conversion and improve free thyroid hormone levels in patients with hypothyroidism. There are few studies in humans but animal studies have been promising. Zinc - Zinc supplementation can help improve T4 to T3 conversion in hypothyroid patients who are also deficient. Selenium - Selenium has shown benefit in helping reduce thyroid antibodies and is also involved in T4 to T3 conversion. Vitamin A - Vitamin A is a fat-soluble vitamin which is required in optimal amounts for thyroid hormone cellular sensitivity. Adrenal Adaptogens - See above (they can help both thyroid and adrenal health). Will L-Tyrosine Help with Weight Loss? Theoretically, it may be possible for L-tyrosine to help with weight loss, but I would not recommend using it for that purpose. The idea behind weight loss may be coupled with the idea that taking tyrosine can potentially improve thyroid function. Thyroid hormone helps regulate your metabolism, so if you can improve thyroid hormone then you may be able to "boost" your metabolism. In addition, it is known that high cortisol and stress may also lead directly to weight gain. Taking tyrosine may theoretically help reduce the stress response, normalize cortisol and therefore lead to weight loss. These ideas work in theory but in practice, they don't quite work out as you would think. While it is true that some people do experience weight loss when using tyrosine, the amount of weight that they lose is usually minimal. If you lose any weight, you may only lose a few pounds as you regulate some of the hormones discussed here. You are much better off focusing on other supplements and conditions in your body if weight loss is your primary goal. Tyrosine supplementation will work better as part of an overall weight loss plan, but not as a primary weight loss supplement. L-tyrosine is an important protein in your body because it is the precursor to both thyroid hormone and adrenal hormones. A deficiency in tyrosine may result in abnormal production of these hormones and therefore symptoms. It may be possible to take L-tyrosine as a nutritional supplement to help your body increase these levels and provide you with some relief. Supplementation appears to be quite safe, but make sure to supplement with other vitamins and nutrients for the best results! Have you tried taking L-tyrosine before? Did it help you with your thyroid function or adrenal function? Did you notice an improvement in other areas?